America's Affection For Hometown Confections If you're gaga for a Nut Goodie, we know just where you're coming from. In fact, the candy you love can say a lot about where you grew up. Americans rally around their regional treats, maybe because they take us back to a simpler, sweeter time. Take a cross-country tour of hometown sweets that deliver a nostalgic sugar rush. From the maple sugar moose heads of New England to the chile brittle of the Southwest, from the Almond Roca of the Pacific Northwest to the key lime coconut patties of Florida, America loves its candy. Coast to coast, folks fawn over national favorites. The top three selling candies in this country, according to Bloomberg/Business Week, are Hershey bars, Reese's Peanut Butter Cups and M&M's — which together rake in more than $1.5 billion in annual sales. But Americans also rally around regional confections. A man from Minnesota might go gaga for the Nut Goodie. A sweet-toothed Texan may choose a Chewie Pecan Praline. A Wisconsin woman is liable to get all mushy over the chocolate milkiness of a Melty Bar. We're taking a cross-country tour of candies from around the U.S., sampling hometown sweets that deliver a nostalgic sugar rush. We rally around our regional candies, maybe because they take us back to a simpler, sweeter time. The family-owned Russel Sifers Candy Company has been making Valomilks, and only Valomilks, for decades. Quiz: Which Americandy Are You? With the noticeable rise of the local food movement, says Beth Kimmerle, author of Candy: The Sweet History, people "are really interested in looking at our heritage candies again." And like other aspects of homegrown cuisine, those candies often reflect the tastes and sensibilities of certain parts of the country. By choosing wisely from an assorted sampler of goodies, you can take a historical and cultural spin around the U.S.A. — and discover one reason it's called the sweet land of liberty. -- One hundred years ago, in 1912, Pearson's of Minneapolis began making Nut Goodie bars — milk chocolate-covered rounds, pocked with unsalted peanuts and filled with a soft maple center. Nowadays the straightforward delicacy still evokes Minnesota niceness — and, well, "nut goodieness." -- The Idaho Candy Co. started selling its signature Idaho Spud Bar in 1918. Today, the Boise-based company brags that the Spud is one of the "top hundred selling candy bars in the Northwest." Open up the package of an Idaho Spud and you'll find an oblate spheroid that sort of reminds you of a loaded, baked Idaho potato. Instead of a skin, the outside is dark chocolate. Instead of mushy innards, the inside is creamy, cocoa-flavored marshmallow. The whole thing is dusted all over — not with cheddar cheese, chives and bacon bits, but grated coconut. 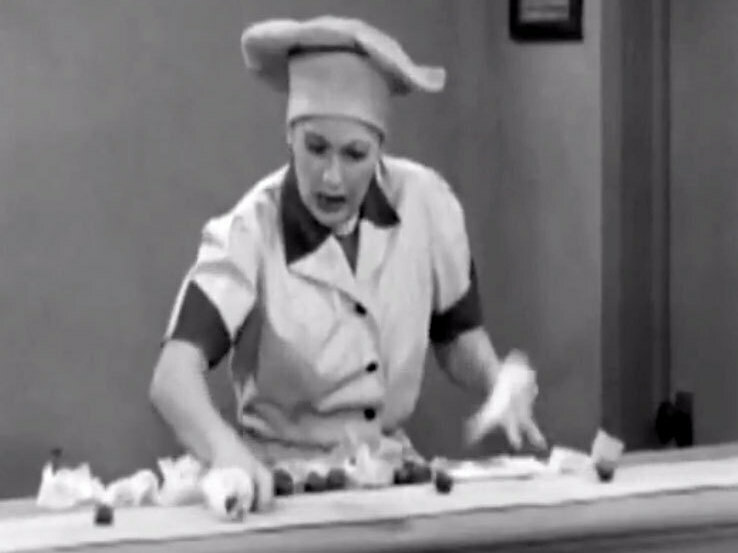 -- Also in 1918, Chase Candy Co. in St. Joseph, Mo., developed Cherry Mash, a lump of cherry-flavored fondant coated with chocolate and peanuts. It bears a slight resemblance to a perfectly grilled Kansas City steak: brown on the outside and pinkish in the middle. Similar to the bourbon-laced bonbon of Kentucky, Cherry Mash may sound alcoholic, but it's a safe bet for teetotalers. Everywhere you turn in America, from Chocolate Charlies in Indiana to pralines in Louisiana to Red Coconut Balls in Hawaii, nearly every nook and cranny of the country has its own gooey, sui generis candy creation. Bite into a local delicacy and you just might get a mouthful of regional pride. Russell Sifers' family has fashioned the Valomilk — a round chocolate candy with an egg-white marshmallow interior — for decades out of Merriam, Kan.
"I once did a presentation to Bloomingdale's in 1988, when they were going to feature Kansas products in their stores," he says. "The buyer at Bloomingdale's said they were used to fancier candy, to which I replied, 'I guess we are just sodbusters here in Kansas, because chocolate and marshmallow is about as fancy as we get.' "
Marshmallow — and nougat — are recurring ingredients in many American candies. There are good reasons for this, says Kimmerle, who also teaches at the Institute of Culinary Education. Both are candies that are relatively inexpensive to make, she explains — you just mix eggs and sugar. The cheaper fillings stretch the pricier commodities such as chocolate and nuts. Frothy centers, she says, "have height and loft making for a bigger candy, thereby offering a perception of greater value." Mars, a multinational corporation founded as a candy company in 1911, eventually introduced nougat-filled bars such as the Milky Way and 3 Musketeers, which "made their candy bars look so much bigger than a thin Hershey bar," Kimmerle says. Marshmallow "is also fairly stable in the heat; it won't melt like a solid bar of chocolate would." Survey sugary treats from all over the country, and you'll discover that although many candies from different regions contain the same ingredients, they somehow remain distinctive. For example, the Nut Goodie, a chocolate and peanut bar from Minnesota, has a maple center. On the other hand, a chocolate and peanut bar from Tennessee — the GooGoo Cluster — contains caramel and marshmallow nougat. San Francisco's Rocky Road version marries a marshmallow core with a coating of chocolate and cashews. Each one represents — in look and taste — its own regionalism. You might also notice that many of America's more famous candy-crafting companies were founded around the same time, in the early 20th century. At that moment in American history, Kimmerle says, there was "a real candy bar boom" thanks to the passage of the 1906 Pure Foods and Drugs Act. The act prevented the manufacture, sale or transportation of "deleterious foods" and drugs in the United States. Consumers felt candies were safe, Kimmerle says. The popularity of candy in America was also propelled by Prohibition. "The sweet — candy as well as 'soft' drinks and ice cream — business boomed enormously during those dry times," Kimmerle says. And there was a treacle-down policy. 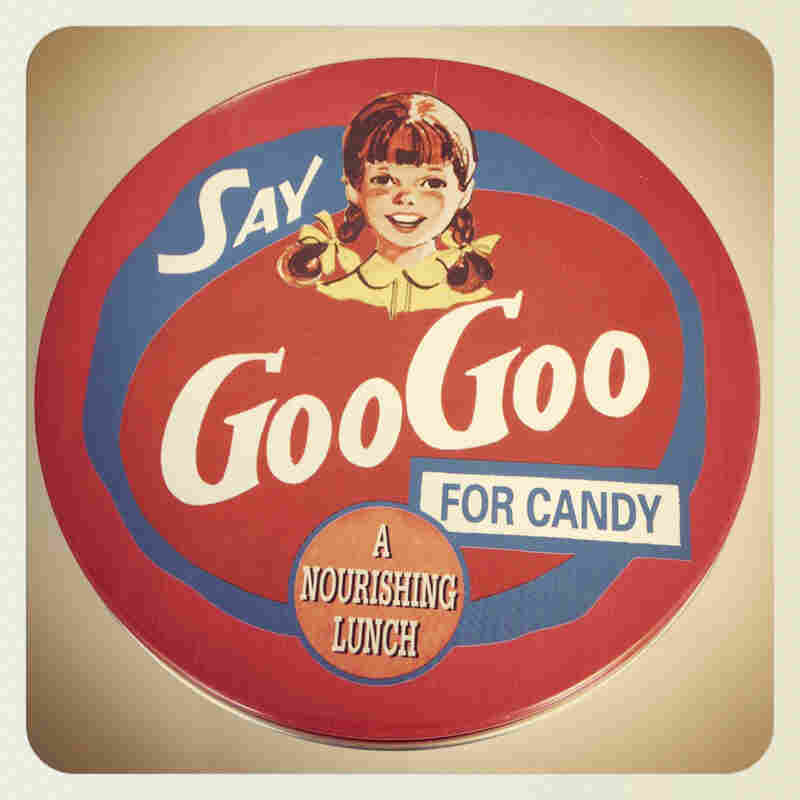 Candy was marketed as a "little luxury" for the upper class, Kimmerle explains, "and as a meal replacement for those who were less fortunate." Favorite Songs: Big Rock Candy Mountain, Candy Man, Lollipop and Sugar Sugar. Favorite Movie: Bright Eyes (1934), in which Shirley Temple sings "On the Good Ship Lollipop"
Favorite TV Clip: From I Love Lucy (1952): "Job Switching"
Favorite Painting: The Candy Store, by Richard Estes, (1969). Whitney Museum of American Art, New York. Nowadays, America's obsession with fitness and its expensive battle against obesity brings the country's long-standing love affair with candy into question. Still, candy-makers continue to make candy. The National Confectioners Association estimates that candy sales in 2010 amounted to $29.4 billion, up nearly 3 percent from 2009. Perhaps Americans continue to love candy for the same reasons they love caffeine, convertible cars and roller coasters: the immediate rush, that sweet surge of sugary energy, that jolt to the psyche that convinces us we can build cities, program supercomputers and explore the far reaches of outer space. Through the proliferation of Internet marketing and express shipping, some provincial candies are available now outside their provinces. 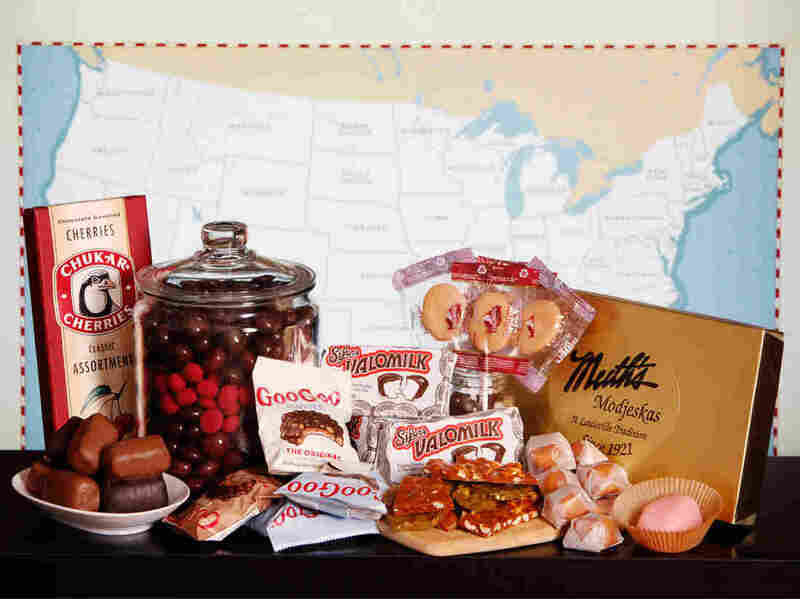 And with the influx of people from all over the world, heritage candies from other countries — such as goat's milk concoctions in the Southwest and manju in the Northwest — have become part of the American Candy Sampler. But why do we go on reaching for regional candies? What is it about Washington state's Chukar Cherries, Kentucky's Modjeskas and New York's Sponge Candy that keeps us coming back for more? Maybe it's because of our nation's fascination with youth and childhood. Or maybe it's because in a globalized world of mass-marketed tastes, particular sweets still trigger particular memories of particular places. "If one grew up in the Midwest eating Valomilks," says Sifers, the candy-maker, "then to taste them again after many years, it indeed would take you back to the Midwest. I hear that all the time." In other words, maybe no matter how old we are, or how jaded we become or how long we have been away from our home place, when we bite into candy from our childhood, we are bathed in memory and sensation and remembrance of things past. And of a slower, simpler — and sweeter — time.